Welcome to the Pampers complaints department brought to you by HissingKitty. Experienced poor customer service? We make it easy to file a formal complaint against Pampers online. Simply use our free form and your feedback will be instantly forwarded for review. Need to contact the Pampers corporate office? We have the mailing address, phone number, and email address listed below. I received my pampers the outside of box pampers cruisers 360 fit diapers size 5, 112 count. Inside the box is size 5 pull-ups. Wal-Mart would not let me exchange them for the correct diapers. How is this my fault. Very disappointed with pampers packaging department. The new box came in and 2 out of 5 diapers the tabs keep ripping off when I'm trying to put the diaper on my child. This is a waste of money and diapers. I've exclusively used pampers for nearly 3 years and never had problems. My name is Simon Nyatlo and below is my complaint/unsatisfaction from your Pampers nappies. I have bought a size 4+ jumbo pack of pampers nappies on the 8th of March 2019 at clicks in Bloemfontein middestad. The problem I am experiencing with these nappies is that every time my 1 year 3 months baby boy wets them they really stink as if he has pooped in them and they leak prematurely. My Son's skin reacts badly to other nappy brands and yours is the one that treats him well so please help me solve these two issues. My baby got rashes due to pampers.i dropped an email to customer service but seems they least bother about it.worst diapers,worst service ever. I recently purchased a box of pampers online from Takealot and since we started using it, my son doesn't even have it on for an hour and the gel is busy popping out and he plays with it, which is so disgusting. I also found that the nappy seems to leak and wets his clothing as well. Where is the 48 Hour dryness promise? I am very disappointed as this has never happened before and he has been using pampers since he was born and is now 20 months old. Kindly assist as this now a waste of money having to change him every so frequently. 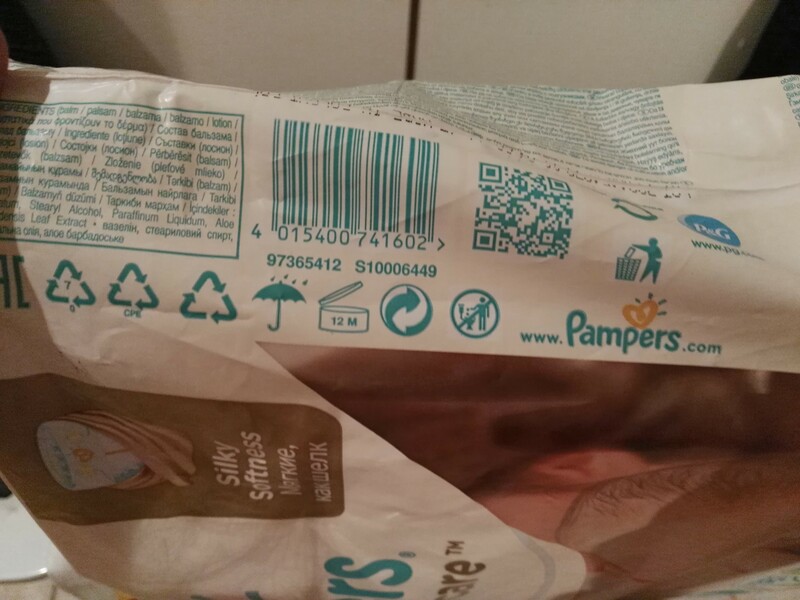 I bought Pampers pants size 4 with barcode 015400 672869 and the product is slpitting open on the sides with the result that baby's clothes is wet after he urinates. Bought at Shoprite in Bishop Lavis Cape Town. I’ve been using Pampers since my baby was born with no issues, I purchase only the mega boxes and I have purchased the first box of size 4 (9-14kg maxi) and everyone I used leaked poo, she is 9.5kgs and this shouldn’t happen. These nappies are very expensive and feel disappointed because of all the extra work that needs to be done when the nappie should have help much more in it. Looking forward to see what Pampers does to rectify the issue. I bought a 94 size 3 pampers pack at ToysRus in Richards bay on the 26th of January 2019. Only to find they are torn on the sides..2 that I've used for with the first I thought it was only that one. I'd like to change the pack. The sooner the better. Pls see slip attached below. Can i just ask wtf is going with pampers or p&g or whatever u guys wana call yourselves. Every single pack iv bort for the past few months has had atleast one half or poorly manufactured diaper... my baby boy switched to size 3 now n last week i discovrd 2 broken diapers after having just opened the pack and its not evn half yet, so im sure that il probably find more of these poorly manufactured ones as i go along to continue using the pack. And as i said this has happened many times before but only brort it to ur attention now. I went online and lodged the complaint online n then two days later i was called by someone sooooo rude i honestly felt disturbed after havong spoken to this person. She asked me the details she needed aswell as the product code on the diaper. Bt because the diaper was so poorly manufactured i could hardly even see it so i read to her the numbers as it appeared to me, she became irritated and sighed very loudly in my ears all because i was having trouble seeing the code and when i told her i wasnt happy with that she kept speaking over me, i had to literally ask her numerous tyms "please can u let me finish" n still she would let me speak.. I myself work in customer service and hav many years of experience so i know that this is not the way. Wen i requested to speak to a manager she told me no i cant n she ended up telling me that they will have to get back to me and gave me a lousy R50 discount voucher. I mean reli now??? Im a single mom and i spend so much money on diapers and iv been using pampers ever since my baby was born which is over roughly R800 mnthly as my son goes thru almost 4 jumbo packs per mnth. I was promised a call back withing 48hrs from a manger or superior n that didn happen either so i just left it and chose to not let it upset me further. So then yesterday my sister visited with her 1 year old son and also complained about the new active baby dry pampers 4+. She told me that in one pack she had 3 poorly manufactured diapers. Then she purchased a new pack for her little boy yesterday and it was probably the 4th or 5th diaper that she got to n found it breaking off n tearing literally like a piece of papeer infront of my eyes. I cant express enough how dissapointed we are in pampers to the point where ive decided to completely switch over to a different brand and only wish that i had written down the name of that very rude consultant wu delt with my issue the other day. Good day, my pack of pampers pants size 4 are all torn on the side, and my son wets the bed due to this. I am quit disappointed in pamper. I have been using pamper from the first day my son was born now he is 5 month 2 weeks but the pamper has been opening up on the sides and gel is come out I am not happy most nights I have to get up to change my child twice. one pee and I have to change him because it looks heavy on him. Bought two Mega Box pampers from toys r us this month still have one box full and the other one used one packet, don't know what happened but the pampers is not as thick as it use to be and this results in the nappy tearing on the side, the promise that it gives up to 12 hours is no longer and the gel turns out on the the side even when my baby poo it comes out on the side. The new pampers is the worst quality and I've been using it with all my children. My daughter had a running tummy and for the first time using this new nappie poo ran down her leg nd i can't even keep the nappie on long nd she pee wet my bed nd her cot. Never experience that before nd both my 2 boys used that. Been part of pampers family for 11 year nd very disappointed. Pampers is a worst worst company . I have a 1.11 years old baby and i am using pampers for him but today's morning i found lots of Sugar in his diaper. So i suggest you guys plz don't use pampers for your babys. I am very unsatisfied with your product. I have been buying for more than 2 years pampers nappies. I recently discovered that the quality of nappies became so thin and leaks at night. You can clearly see we you open the nappies that it is not even covered properly with lining. I'm really unhappy. My baby is 9 months and ever since she was born I have been using pamapers and it was really good and I never experianced any issue with it. I have purchased 2 packs of pampers from Pick n Pay size 4+ and I have opened 1 pack, with this, she gets messed where her pee leaks right through her back when she lays down. This will be the 4th night now when I check her at night her clothes is wet. Im not sure if its this pack but im really dissapointed with this. I'm really disappointed with your diapers.you say last up to 7hrs but I have to change my baby every hour.my newborn has a bad rash now.pampers I'm really upset. I've been using pampers premium care for the past 4months now and I Love the product for my first baby. However I just purchased a box of premium care no.4 and they are not the same as the other diapers I've been using these past months. When I did purchase the box it was different,it was blue instead of gold and wen asked the sales consultant I was told it's the same thing however it is not it's made with such poor material and I'm not satisfied at all since they won't give me a refund or at least a gold box of diapers in exchange. I bought 4 packs of the new branded Pampers premium diapers. I am very disappointed at the quality. The diapers are leaking they do not absorb and they cause nappy rash. I have to change the nappy every 30 minutes and that is causing me to use more diapers. Hi pampers !!! I’m never unhappy about your diaper and suddenly i am raging about having a half of my son pack of diapers not having the fasteners attached to the diapers it is very frustrating,it’s a waste of my money, I have a budget. Picture with batch number attached. Please do contact me on 0795973373 or 0748047772. Bought a pack of Pampers active baby.. It is horrible. I would think Pampers is better quality than Huggies... What a big mistake. Even during day time the nappy leaks fluid. It is the worst I've ever used and Pampers is supposed to be a NO1 brand in nappies... I beg to differ..
Me and my wife have been buying pampers premium for our daughter since her birth. The issue has been happened before but we thought it was an isolated incident. My wife would change my daughter then she would number 1 also when she number 2's there were occasions where it went right through and it would leak , it has happened with more than one box as we purchase 2 or 3 of the number 4 boxes at a time. We are seriously considering changing to huggies as we are paying a premium price for something that is supposed to be the beat and it is seemingly not. I bought a mega box pampers and still now another 2 jumbo pack pampers and the nappy is keep on getting opened whilst on the child. the sticker is not sticking properly.This is so frustrating as i just thought it was only the box that had the problem but now i see its all the pamper nappies.Why is the quality so poor?We pay good money for these nappies and i am really thinking of switching to another brand.Really unhappy. This is wasting my money really . Please not that this is my second email as I didn't get a response the first time. I was recently admitted in hospital so to make things easy for my husband who was home looking after my 6 month baby I decided to get the pampers pants which left us disappointed. I bought 2 packs of pamper pants no 3 which is upto 11kg as my baby was 6,6kg however it seemed as if it was made to fit a baby that is under 5kgs. Not only that these pants maybe easy to fit however to remove when baby has messed it gets really bad. At night there are leakages and its says on the pack that it is upto 12 hours of dryness but this is not the case cos we have to constantly change him during the night as just after 2 hours the nappy is full and his bum feels wet. 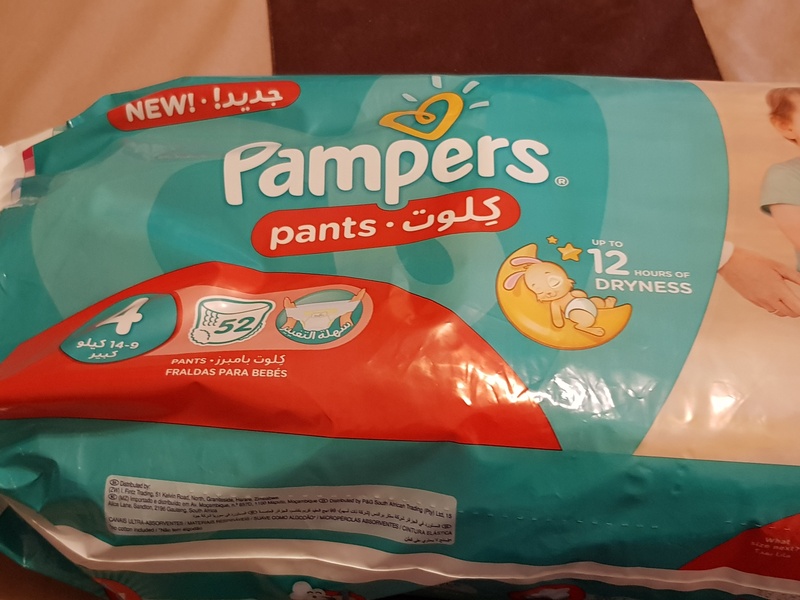 This has been really disappointing as I trust in pampers which I have always been using and I always expect the best but got the worst nappy ever, even a cheaper brander of nappy is better than the pamper pants. I am extremely disappointed at the quality of the pampers active baby dry nappies product that has been put out to the public to purchase, especially as a loyal customer who has been purchasing pampers for the past few years. In October I purchased two Jumbo packs size 4 nappies and out of these packs there were 3 nappies which had burst after 2 hours. I did not file a complaint at then as I assumed that It was a once- off defect and felt that the next time we buy pampers it would be of a better quality. However at the beginning of this month, November, I bought another Jumbo pack. This time 6 nappies are defective and have broken. 5 of the nappies have the strip that is meant to hold the nappy break off. The 6th nappy seems to be stuck together. You cannot unfold the nappy as this causes the entire nappy to tear. I have chosen not to buy nappies from another brand as we trusted the Pampers brand based on the quality, however this has now become an added expense and a waste of time. I do have the unused nappies as proof in regards to the problem. Please can I get an urgent reply with a suitable solution? I have bought two boxes number 5 in size in the last two months... I am very disappointed that in both boxes in all packs are 4 nappies that are broken. The straps are not there. This is really upsetting as pampers are expensive. This will mean that I will be changing brands as well. Its the second time I log a complaint and no response from you guys. We as parents are highly dissatisfied and disappointed. My complaint is about the pampers pants jumbo pack I recently bought. My baby is 1year 11months and I only use pampers, either premium care or mostly active baby.. 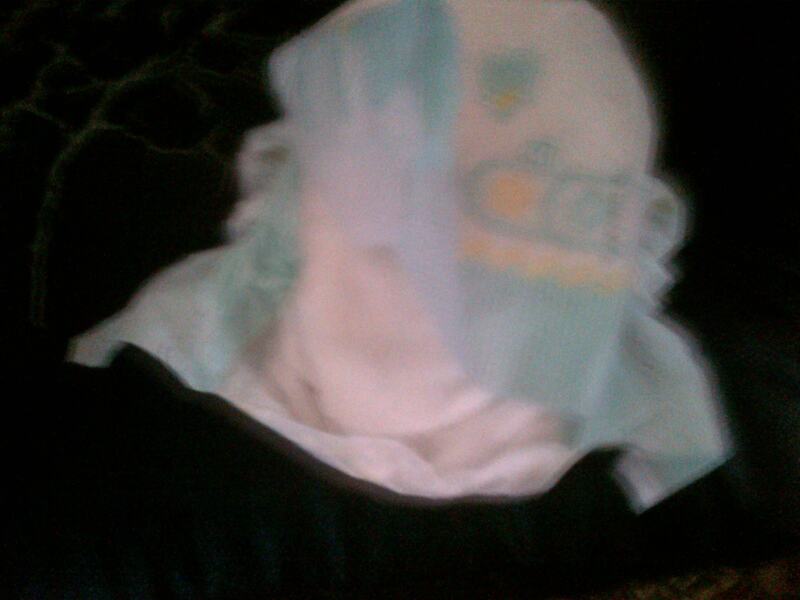 I decided to try the pampers pants and was higly dissapointed. My baby is soaking wet every morning, so is my bedding. The first amd second night I overlooked it but since its been happening for 5 consecutive nights I have to complain about this because I bath him at 8:00pm and he wakes up at 6:30Am soaking wet, thats 10 hours as suppose to the 12 hour promise, this has never ever happend with the normal active baby nappy but now ive lost my trust in pampers. Highly frustrated and dissapointed. 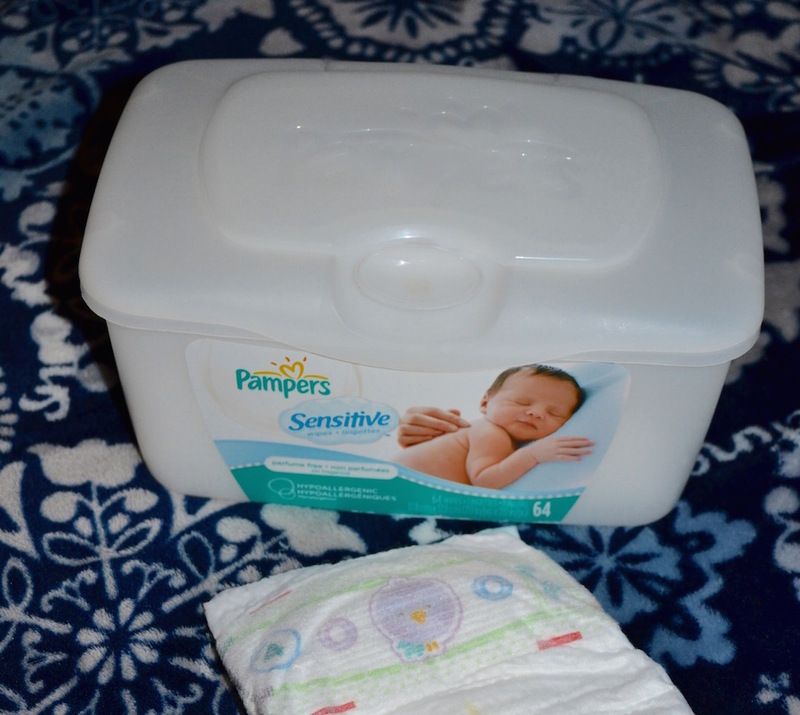 My newborn baby had a rash with the previous kimbies, so I tried pampers. The first jumbo number 2 pack I bought and found a few rejects, there's no back sides and looks as if the nappy has been cut on top. Not a good sign and very upset with this company. Now I am reading more Pampers complaints online and wondering what I did wrong. My baby is using pampers new baby. Here is my complaint, I am extremely upset because the sticky strap which holds the diaper together constantly break and then she wets the bed or where ever she at, this happened 4 times already. I am not impressed. There must be a phone number I can call to contact the corporate office! About three weeks ago I started using Pampers Baby Dry no 2. After the second change i started to notice that my baby had red flames that looked like a rash on her bottom. I used several barrier creams that did not help. Eventually the chemist made on a nappy rash mixture that helped in an instant. I stopped using Pampers and switched to Huggies. My baby's bottom became smooth as always. Now I switched back to Pampers hoping it would not give my baby a rash again, but I was wrong.The rash is back and it is clear that Pampers does not agree with my baby girl. I am very dissapointed that Pampers would have such a terrible effect on my baby's bottom. I bought my daughter a box of pampers premium care size 4 diapers. Now I want to return them! 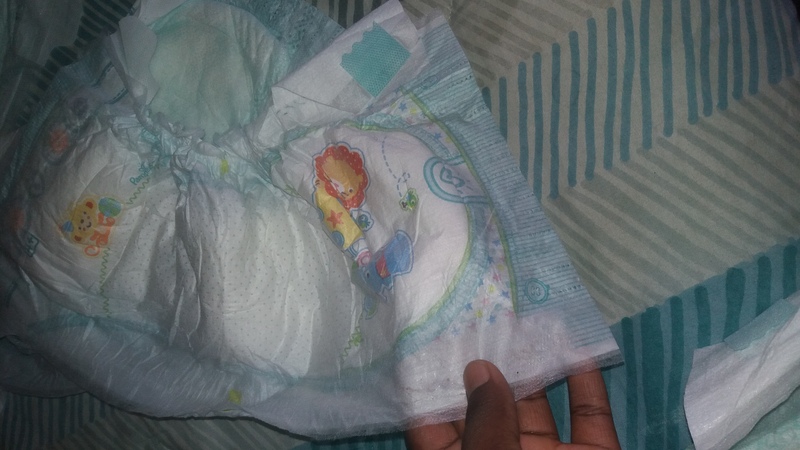 I am extremely unhappy because I've been through the box in less than a week because the nappy gets so full quick and i need to wake up during the night because the nappy just doesn't keep. This is the first time I have experienced this. Anyone else have this problem with Pampers? Would be great to call their service line and get my money back! I have attached a photo for the department in case it is helpful. Im very disappointed by your diapers. I've changed from huggies to pampers because pampers is suppose to be the best diaper. In the last 3 packs I've found that my baby wees right through and some of the diapers is very hard on the edge insides. Its like it got wet and got hard. To witch brand must I switch now? I would like someone to contact me. Pampers is the best for my baby. I would definelty not think of compromising on quality. My baby had no diaper rash, not uncomfortable feeling at all. From the time he was born till now he is using Pampers brand. Really love the fact that they kept in mind the delicate skin babies have and made the product. No leaks, best in class quality. They come in different sizes and for every stage my baby went through, they have the perfect diapers. The absorption is good and the indicator never fails. 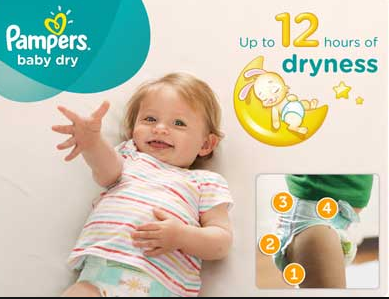 Great going on Pampers brand. I would like every mother to try this for their babies.